The Shopbot CNC router carves into foam to create macromolecule models. Facility for Arts Research recently welcomed Dr. Beth Stroupe from the Florida State University Institute of Molecular Biophysics. 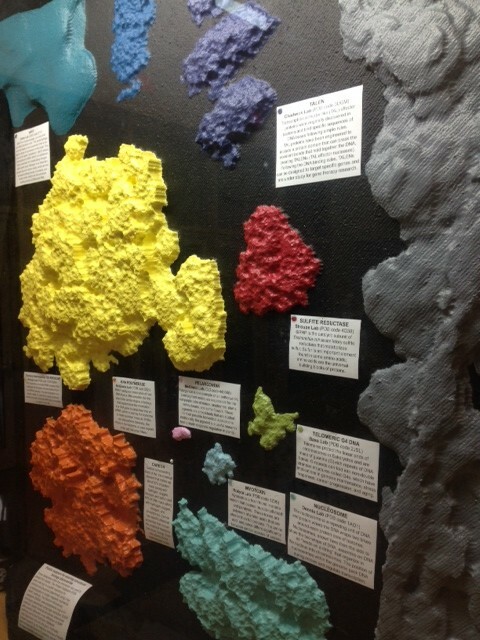 Using the formLab, Dr. Stroupe created a visual display with the intention of showing a range of biological macromolecules and demonstrate the concept of “Scale in Biology”. To achieve this, she first used the molecular visualization program Chimera to render the molecules to scale. The Shopbot CNC router was used to create a foam cutout of the 3D shapes from a series of macromolecules. The result was a visual display showing the to-scale surfaces of the molecules. Its purpose is to help people visualize the range of molecular scales at which Biology works. 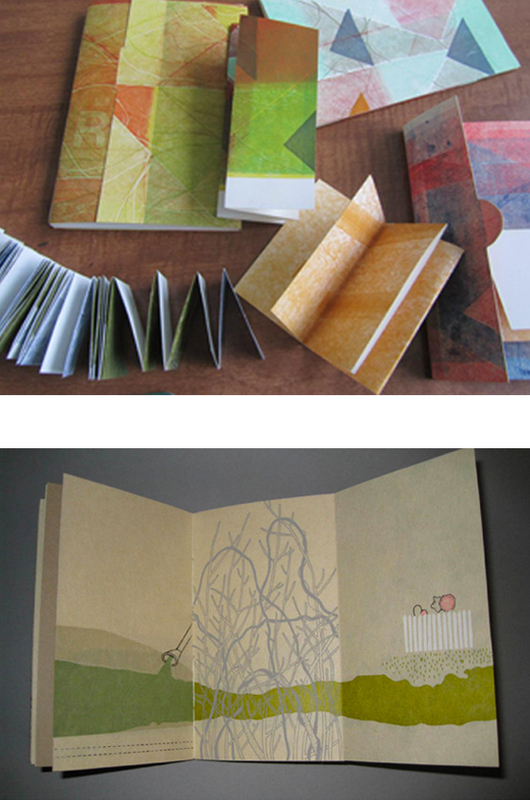 Additionally, SCAP at FAR is hosting a Book Arts workshop, Small Structures, Printed Layers with artist Sarah McDermott. Students will experiment with various methods to create layered imagery using pressure printing, monoprint techniques and wood type. In addition, students will create small book structures and learn various book making techniques. An artist talk by Sarah McDermott will take place during the first day of the workshop and is open to the public. Class time: 9-4 pm both days.